The Beneteau First 40.7 was the most popular cruiser racer ever manufactured. Designed by Farr Yacht Design, it combines a sleek and sophisticated racer with all the comforts you would expect in a cruiser, with 3 double cabins. 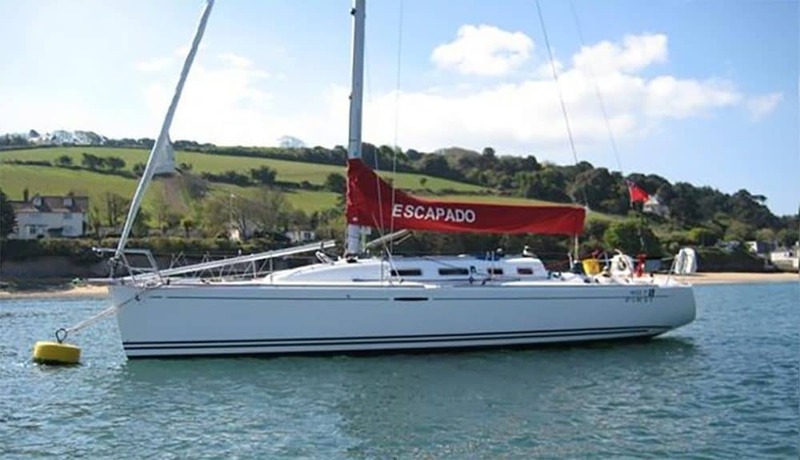 Escapado was built in 2008 and was one of the final First 40.7 boats built. Set up for both asymmetric and symmetric spinnakers, this is a very versatile boat around the race course. All the rod rigging was replaced in 2018, she has a Raymarine chart plotter and instruments and all the safety equipment for Category 2 Offshore Racing. This 40.7 is available for charter bareboat or with an owner’s representative.